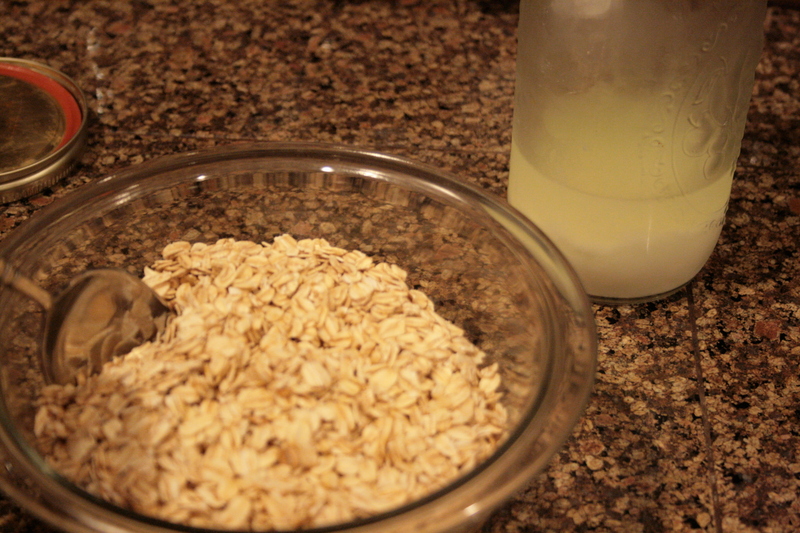 12-24 hours before: soak 1 cup organic rolled oats in 3/4 cup whey (or 1 cup yogurt if you don’t have just whey). 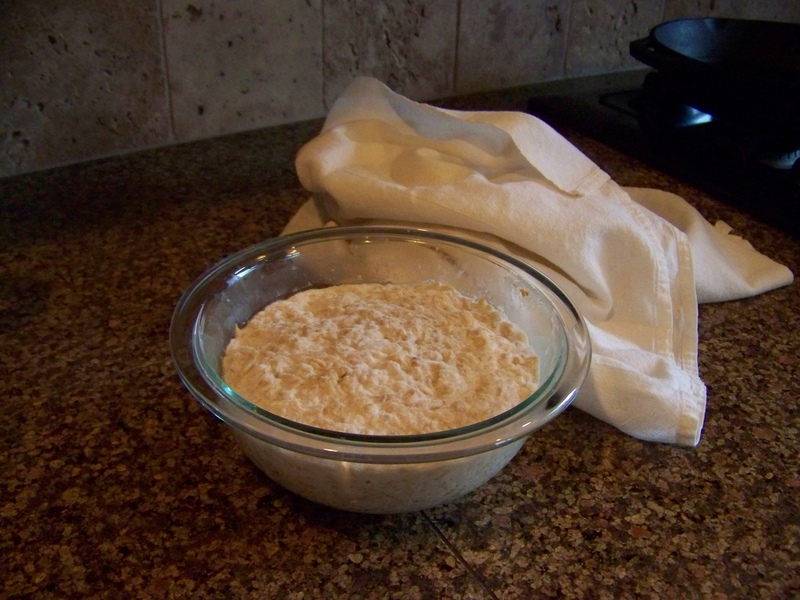 This should be done at room temperature or warmer, in a glass bowl, covered with a clean dish towel. Morning o f: in blender, mix together 4 large eggs (I use duck eggs, so if you have medium sized eggs, bump it up to 5 eggs) and 1/2 cup cottage cheese. 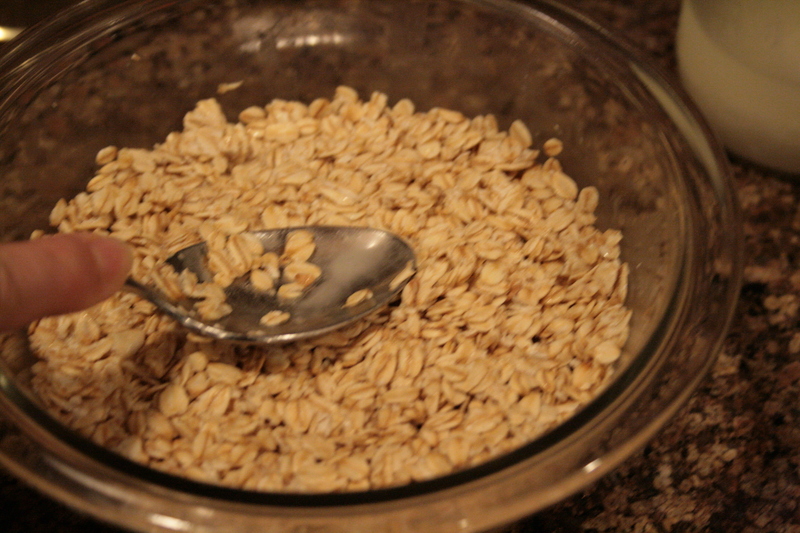 Add soaked oats, and blend until oat pieces have been ground smooth. Blend in 2 tsp. 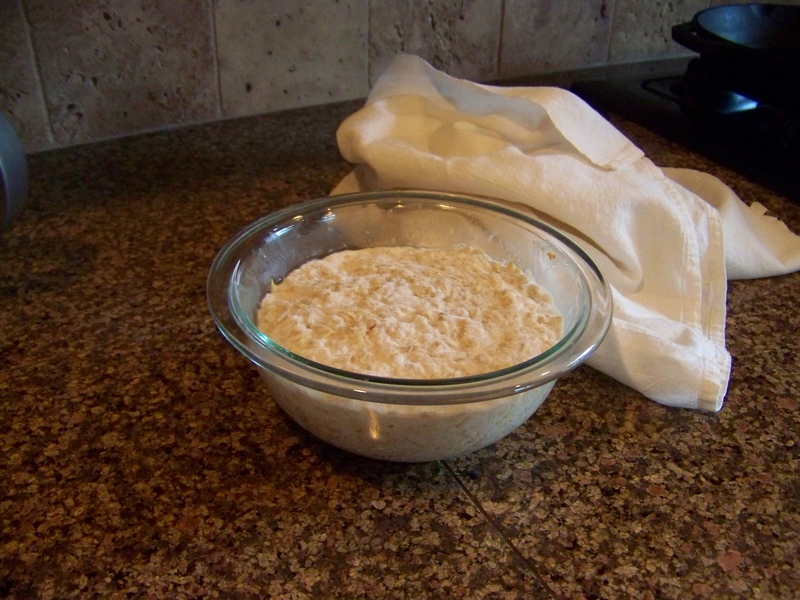 non-aluminum baking powder, and 1/2 tsp. fine sea salt. Pour from blender pitcher into a hot waffle iron. Remove when cooked, and enjoy with butter and organic grade B maple syrup. 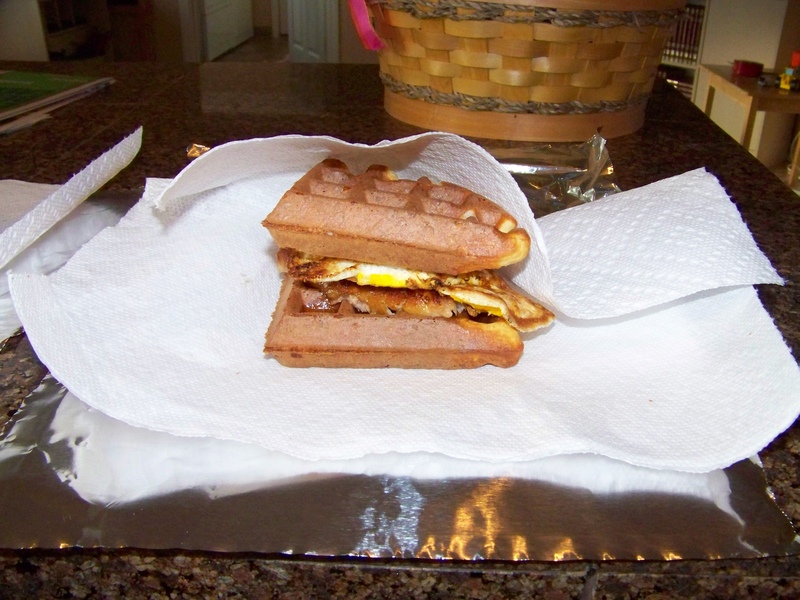 Or, if you’re sending breakfast out the door with someone, you can make two breakfast sandwiches from a waffle by layering a fried egg and filleted cooked chicken sausage between two quarters of waffle drizzled lightly with syrup. Mmm . . . yummy either way. Yields 5 round “Belgian” waffles. Each waffle has 12 gms. of protein. Note: The best way to do this recipe is with 24 hours prep, so the oats are nourishing you without stealing minerals from your body. (Unsoaked grains, legumes, and nuts have a great deal of phytic acid -which human digestion can’t handle as well as ruminants- which actually steals important minerals, like calcium, from our bodies!). You can read more about this in this article from the Weston A. Price Foundation: Be Kind to Your Grains and They Will Be Kind to You. However, if you’re in a hurry, or forget to soak the night before (as often happens to me! 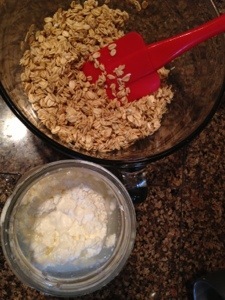 ), then skip the yogurt/whey and increase the cottage cheese to 1 cup. Still just as delicious, and high in protein. 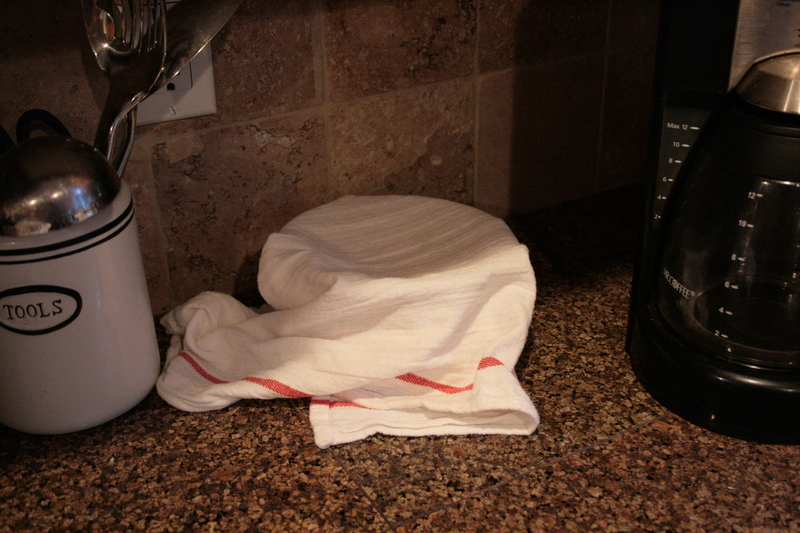 And then start the soaking habit next time. 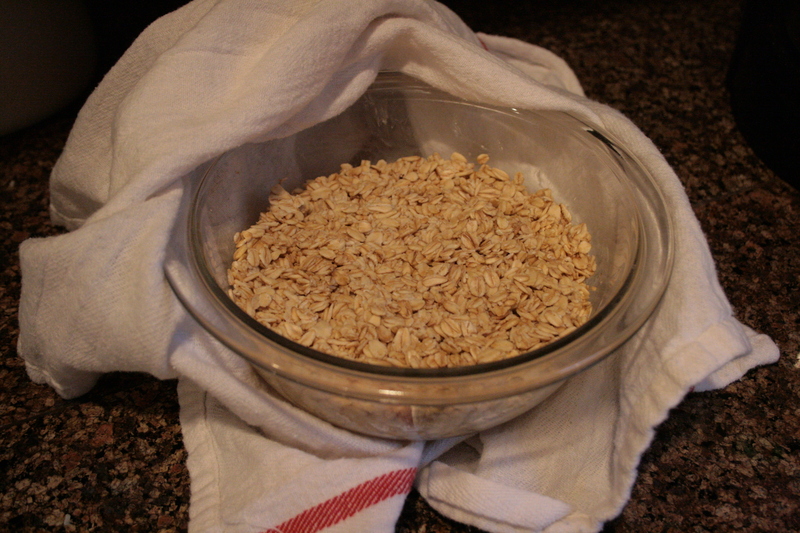 Get more tips on this recipe and see pictures on soaking oats here. 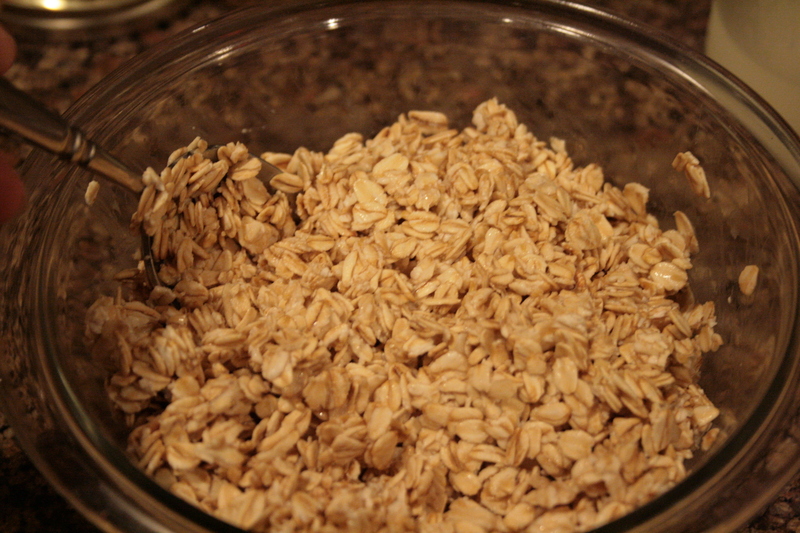 *Oats do not intrinsically have Celiac-causing-gluten in them, however, many oats are contaminated with gluten from other grains. 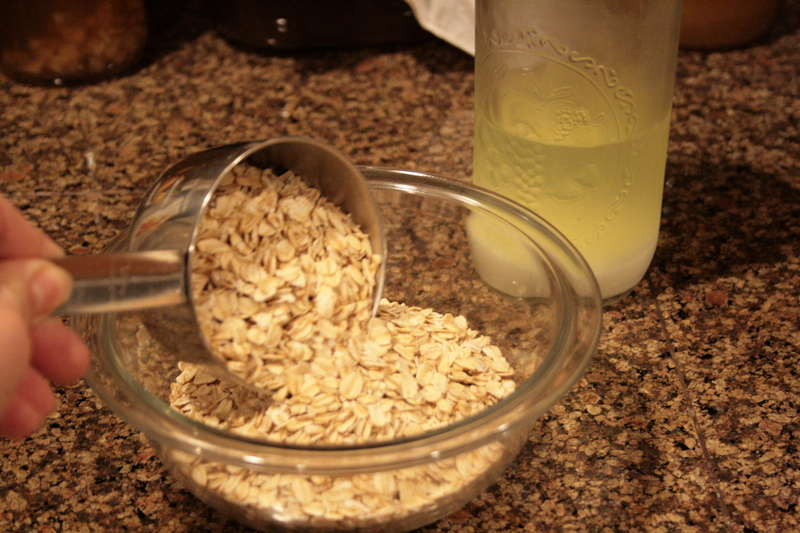 If you have Celiac Disease, it is always wise to choose only Certified Gluten Free Oats. You may also enjoy the ideas in Breakfast: Off to a Great Start.